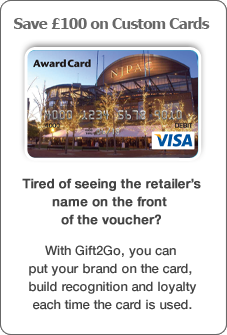 Don't limit your reward to a gift voucher from a single location. Use anywhere VISA® and Mastercard® are accepted - at millions of stores worldwide and on the web. of our dedicated Account Managers?